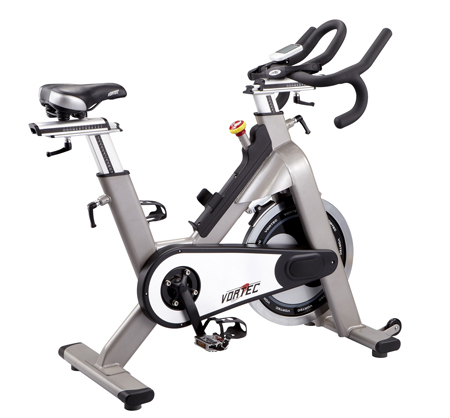 Exercise Bike / Indoor Cycle, ES-701SR - Kenny-Joyce Co., Ltd.
New design frame with over size oval tube, with a durable belt direct drive system on fixed wheel, ultra strong BB and flywheel axles, high performance slide system on seat and handlebar stem positions adjustment and V-lock easy lock system help you easy find your best riding, a patent design knob tension control system provide you very easy to control your cycling frictions and stop braking. Alloy construction on handlebar-stem /seat post offers maximum stability and durability. Alloy construction on handlebar-stem /seat post offers maximum stability and durability. Ultra strong BB and fly wheel axle. 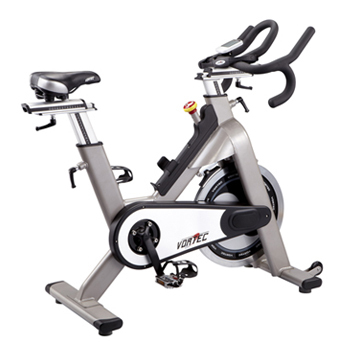 Adjustable seat height with extender., High performance seat position adjustment devices with scale. Adjustable handle bar stem height with extender with scale. Specially designed brake/tension system. Patented unique brake/tension control system. Specially designed "V-lock" system makes easy adjustment and more secure.